Filled with music that is lighthearted and full of character, the 2014 Pacific Crest program promises to be one of the most entertaining shows PC has produced. The program is titled No Strings Attached… and will explore the world of puppets from our perspective and theirs. It will look at various types of puppets, and their puppeteers, and the cheerfulness and playfulness that is often associated with them. Music will include Shadowplay from Cirque du Soleil’s “KA”, Firefly by Ryan George, an original tango (based on other themes from the show) by John Meehan and Mike Huestis, and the anchor piece (the piece whose melodies will surface throughout the show) is the Overture to Orpheus In The Underworld by Jacques Offenbach. The visual side will showcase members throughout the ensemble in marionette-like poses, movement, and characterizations of the various styles of puppets. 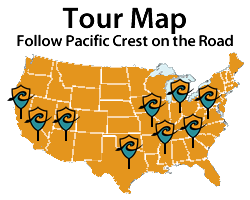 Creative and playful dance and color guard work will help bring the marionettes, puppeteers, and shadow puppets to life. What is a puppet’s life like? How is it to be controlled by your puppeteer? How is it to be free from those strings? 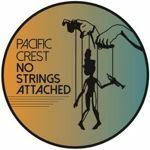 Come out and see Pacific Crest’s journey through the land of puppets in their 2014 production No Strings Attached…!